Our ADORABLE PINK LAMB CANDY BAR WRAPPER is too cute! Your guests will love these sweet candy bars! A sweet little lamb, with a pink bow! They make a delicious party favor treat. 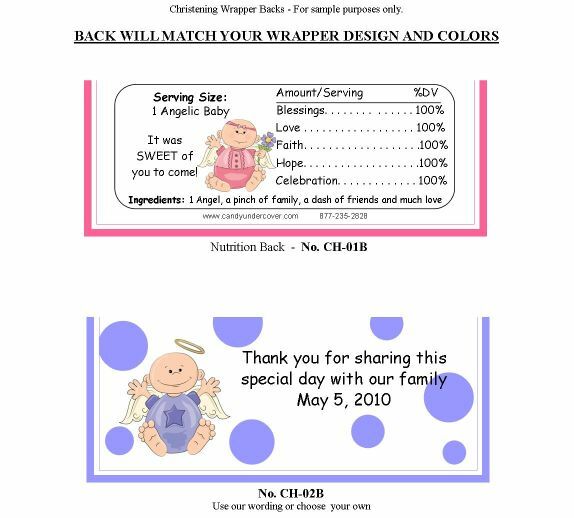 Chocolate is the ultimate party favor and our Christening and Baptism candy bars will be the hit of your party!